ABOUT ONCE EVERY two years, I see a movie in a theater. Maybe three times a year, I’ll rent a movie from a video store. Occasionally I’ll watch one on television. I tell you this because I’m no movie expert, critic or star-struck Hollywood fan. A movie needs to hold promise as an excellent film before I’ll spend a dime, or my time, watching it. “Sweet Land,” based on the book by Bemidji writer Will Weaver, and the classic 1970s “Love Story” are among my all-time favorite movies. Now you can add “The Help,” based on the #1 New York Times bestseller by Kathryn Stockett, to that list. I have yet to read the book. In fact, I hadn’t heard of Stockett’s novel until several days ago. Yes, I sometimes live with my head buried in the sand. The movie version of the book might help more than a few viewers pull their heads from the sand. In a nutshell, “The Help” tells the story of black women working as maids in upper class Southern white households during the 1960s. As a native Minnesotan who has never even traveled into the deep South, my impressions of Southern history are based mostly on books, stories, photos and films. Whether “The Help” gets it right, I’m uncertain. But, sadly, I expect what I viewed on the big screen depicts historical reality. I don’t want to spoil the plot for you, so I’ll simplify the storyline: “The Help” focuses on one young woman’s efforts to reveal the stories of the maids who serve those rich, white Southern women in Jackson, Mississippi. Skeeter, an aspiring writer, does that by interviewing the black women—first, Aibileen, and next, Minny—and then writing a book. The writer angle, certainly, is a familiar one to me given I’ve been a writer for decades. But the whole “hiring of help in the household” is mostly foreign, except for the time during my high school years when I cleaned house every Saturday for a family in my hometown of Vesta. I was well-treated, well-paid for then, and simply happy to have a job—even if I had to scrub the toilet, wax the linoleum and wipe the bottoms of the legs on the kitchen chairs, all while the teenaged son slept upstairs. My experience as a maid/cleaning girl can’t compare, not by any stretch, to that of the black women portrayed in “The Help.” They are treated more like slaves, as second-class citizens, as human beings without rights. Especially troubling for me are the scenes involving bathroom usage—blacks prohibited from using the same bathrooms as whites. I cried when one of the main characters, the maid Aibileen, spoke of her son’s death and how the white women continued playing bridge like nothing had happened. After the movie, which is a lengthy 2 ¼ hours, my husband and I and others in the theater sat through the credits. Typically we would leave as soon as the movie ended. But “The Help” calls for sitting in quiet contemplation in a darkened theater, pondering the story and hoping, hoping, that life for blacks in the South today does not at all resemble life there in the 1960s. HAVE YOU SEEN “The Help” or read the book? If you have, please share your thoughts. I’d like to hear your opinion, positive or negative, on the movie and/or book. This goat is not to be confused with the heisted goat. 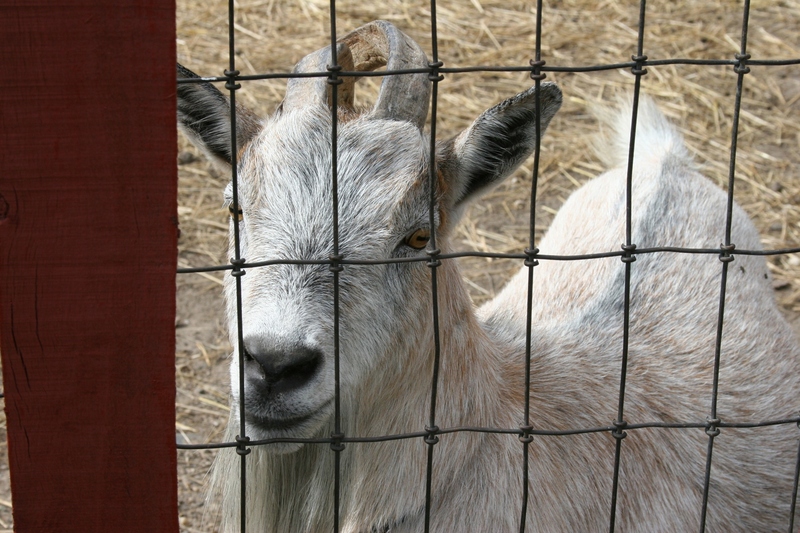 Rather this goat was photographed at the Kasota Zoo and is used for illustration purposes only with this blog post. IF YOU HAVE NOT yet heard the tale out of Mankato about the young stepsisters—we’re talking under age 10—who stole a goat from a zoo in the middle of the night and were caught walking down a street in their pajamas with the goat, then click here. While this story could have ended not-so-happily, it did. The girls and the goat are fine, although the stepsisters could be in trouble with their parents, or the law. After lying to the police about how they got the goat, the 6 and 7-year-olds eventually fessed-up and the truth was uncovered. They’d been to a birthday party at Sibley Park Zoo earlier in the day and apparently decided they just had to have a goat. I heard this story on the 10 p.m. news Monday and laughed and laughed and then laughed some more. I know, maybe I shouldn’t be laughing. Stealing is wrong. Lying is wrong. But in these days of news stories about natural disasters, war, murders, unemployment, a depressed economy, scandalous politics and more, you have to appreciate an imaginative caper like two kids stealing a goat from a zoo, in their p.j.s, in the middle of the night. And sometimes you just have to view life with a Betsy-Tacy-Tib perspective. Betsy, Tacy and Tib, for those of you unfamiliar with that trio, are characters in a series of children’s books written by Mankato author Maud Hart Lovelace and published between 1940–1955. The three, based on real-life friends growing up in Mankato (Deep Valley in the books), get into all sorts of mischief. The fictional trio made quite a mess in the kitchen when they mixed up “Everything Pudding” combining ingredients like bacon grease, vinegar, onions, sugar, red pepper and more. Another time they cut each other’s hair. Betsy cuts Tacy's hair in this snippet from a mural by artist Marian Anderson in the Maud Hart Lovelace Children's Wing at the Blue Earth County Library in Mankato. And once the three ventured into Little Syria for a picnic lunch. There they encountered a goat. They didn’t steal the goat. He stole from them, grabbing their picnic basket and scattering sandwiches, cookies and hard-boiled eggs in all directions. Yup, sometimes you have to laugh, whether it’s at the antics of a goat in a book of fiction or the antics of real-life goat thieves who seem like they could have stepped right off the pages of a Betsy-Tacy book. FYI: The girls with the Betsy-Tacy-Tib mischievous streak and the goat were apprehended along Carney Avenue. Coincidence or not, one of the books in Lovelace’s series is titled Carney’s House Party. And Carney’s surname is Sibley. WHAT’S YOUR TAKE on this story about the stepsisters who stole the goat from Sibley Park Zoo in Mankato? Share your thoughts by submitting a comment. 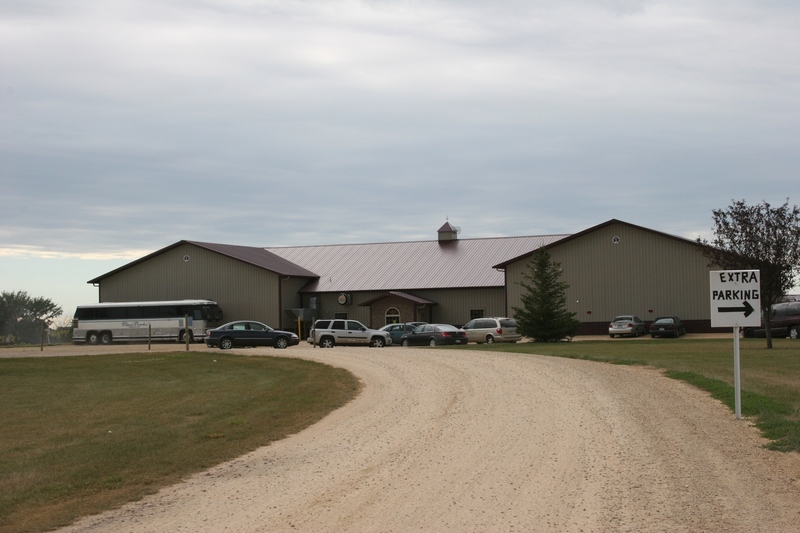 This building complex houses one of southern Minnesota's newest wineries. IF YOU DIDN’T KNOW, you likely would think, from a distance, that the sprawling pole shed along Waseca/Blue Earth County Road 37 several miles south of Smith Mills is just another farm building planted among acres and acres of soybean and corn fields. But you would be wrong. 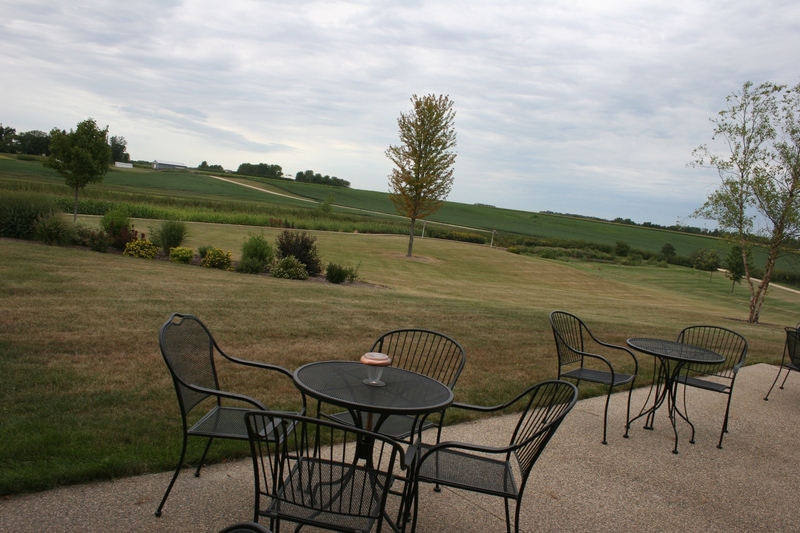 This is home to Indian Island Winery, among southern Minnesota’s newest wineries. 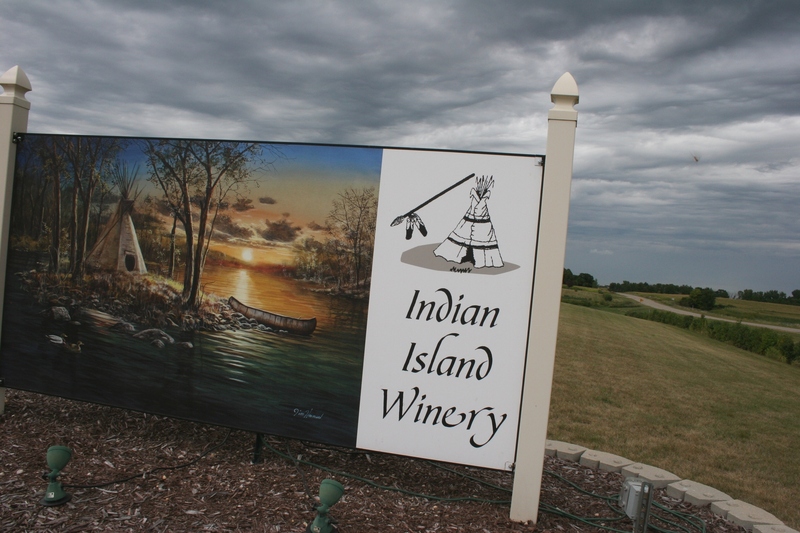 Minnesota artist Jim Hansel created the artwork, "Native Lands," for Indian Island Winery. Considered one of America's premier wildlife, nature and landscape artists, Hansel is legally blind. Sunday afternoon my husband and I drove west from our Faribault home to check out the winery with the intriguing name, drawn from the Native Americans who once used this land—at one time nearly surrounded by water—as their summer hunting camp. Inside the winery, you’ll see the artifacts, found on this property, to back up the historical context of this place. And, no, this site was not a Native American burial grounds. 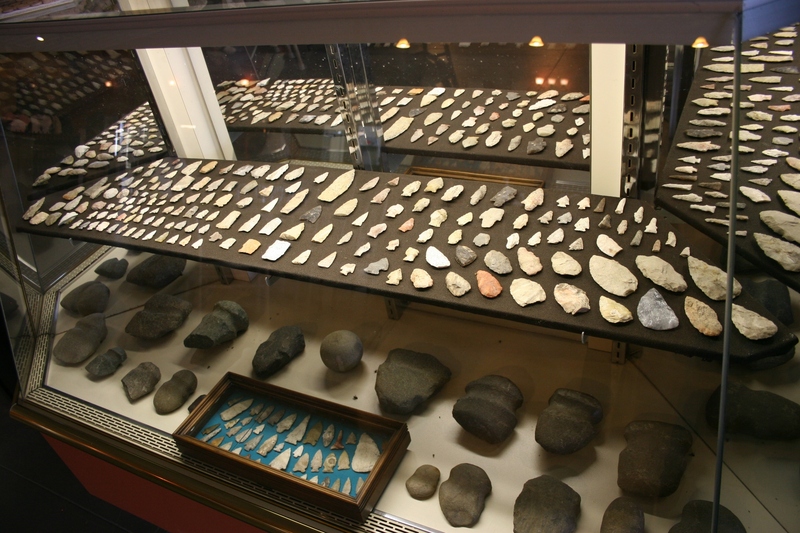 Indian artifacts found on-site and displayed inside the winery. Tour the winery and/or the vineyard and the Winter family will fill you in on the grape-growing and harvesting and wine-making process. We opted in on the winery tour, out on the vineyard tour given I wanted to photograph the vineyard and didn’t want to hold up a whole trolley full of tourists. Instead, Tom Winter, who is a partner in the business along with his parents, Ray and Lisa, his wife Angela, and his sister Angie, invited us to follow the trolley out to the grape fields and explore on our own. 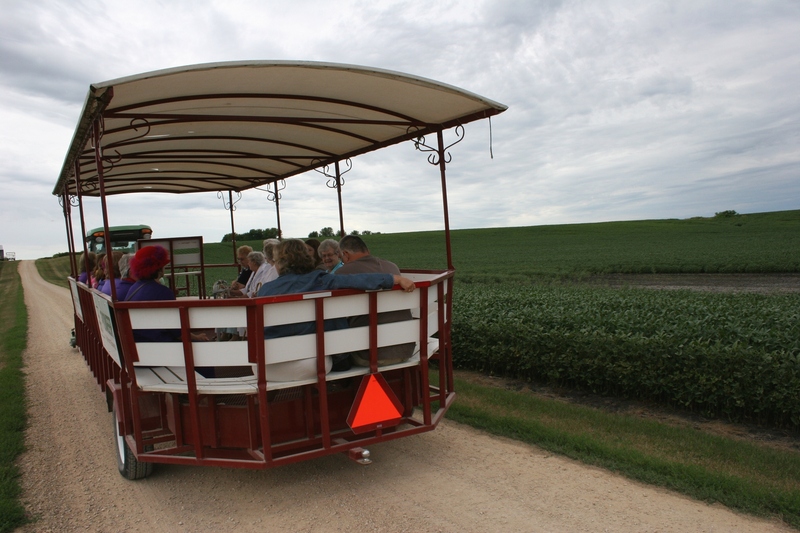 Visitors experience the country as they ride past soybean fields on the way to the vineyard. And clearly the Winters love this land, and each other, as they reside on various building sites within view of the winery and vineyards. “Close, but not too close,” Tom laughs, adding that a cousin also lives nearby. 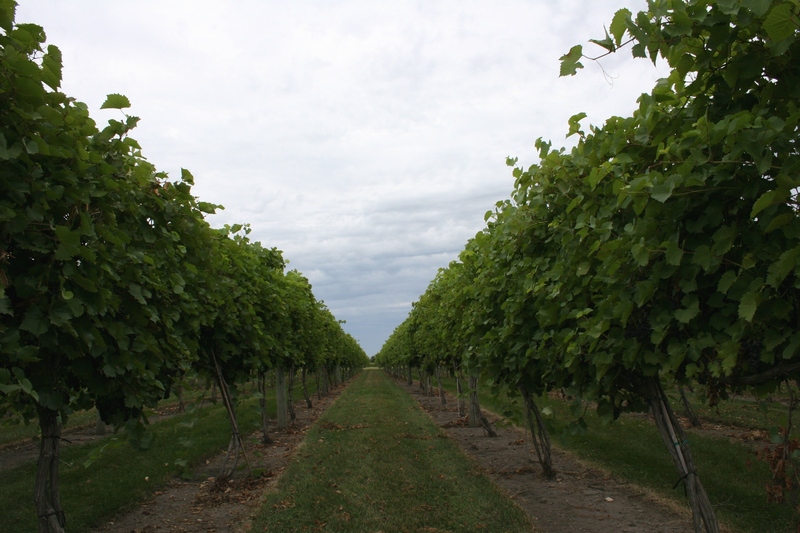 Indian Island's vineyard covers 13 acres. Here's a view between rows of plants. Clusters of grapes hang heavy on vines awaiting the harvest. 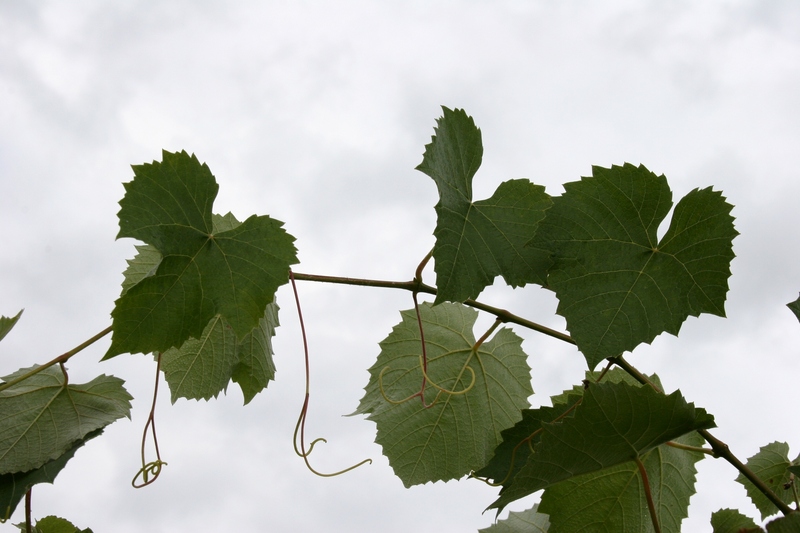 Grape leaves arc above the rows. I don't know grape types, but my husband and I found many varieties in the vineyard. Masses of grapes and individual grapes made for some lovely photos. 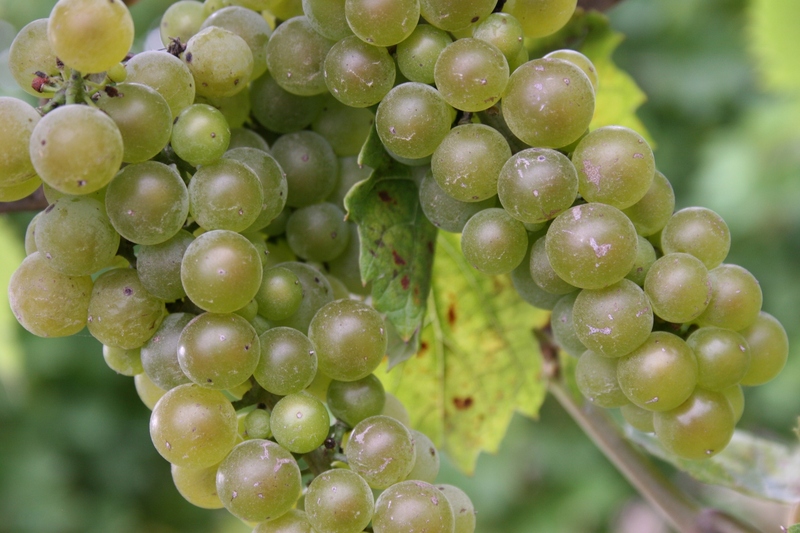 The thing we noticed about the vineyard grapes is that they don't look at all like the types of larger grapes sold in grocery store produce departments. Tom Winter warned us about the LP-fueled cannon before we headed for the vineyard. The cannon "fires" periodically to scare away the birds. 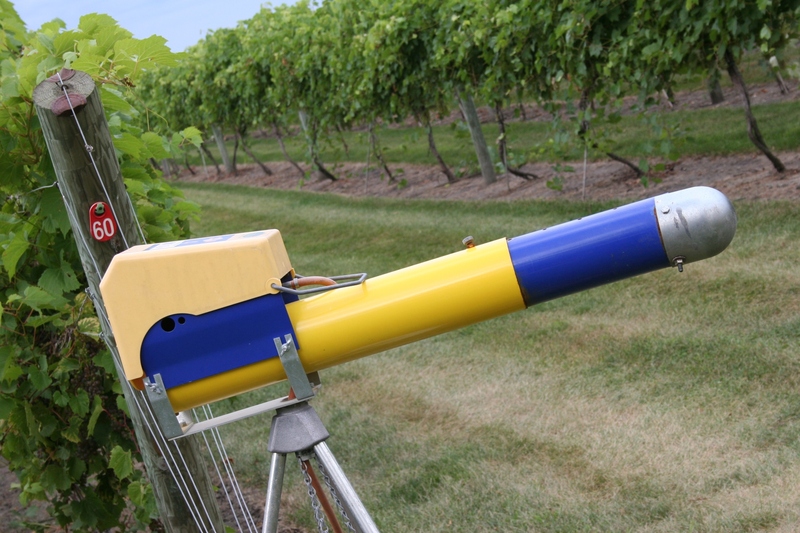 Likewise, a loudspeaker system intertwined among the grapes broadcasts the voices of squawking birds, all to keep real birds away from the fruit. During the winery tour, Tom says several times, “My sister’s the winemaker.” Even though Angie Winter makes the wine, this family works together, from Angela keeping the books to Tom pinch-hitting as a tour guide when he isn’t working in other facets of the winery to… Earlier this year, the Winters were named Waseca County’s Farm Family of the Year. 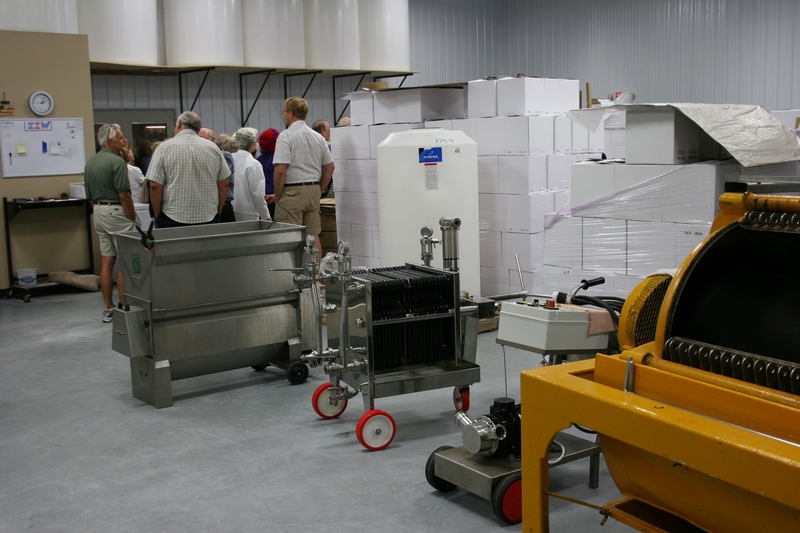 Visitors learn about the press, filter, crusher and other equipment in the wine-making room. 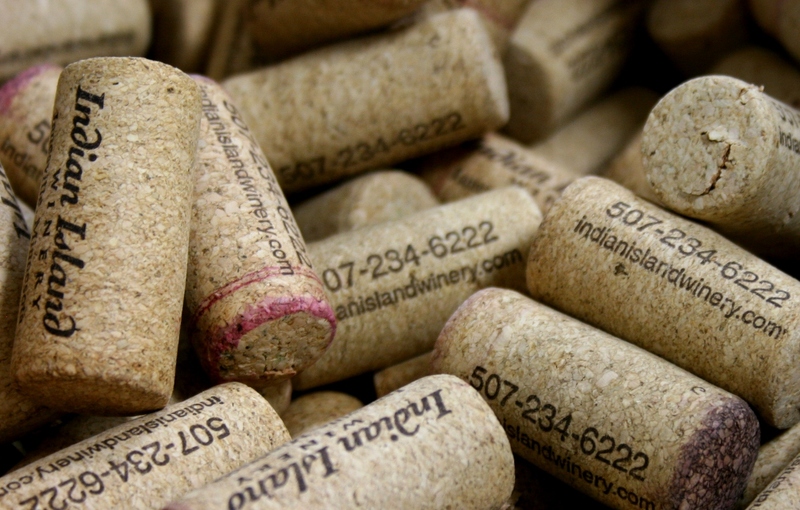 A box full of corks in the wine-making section of the business. 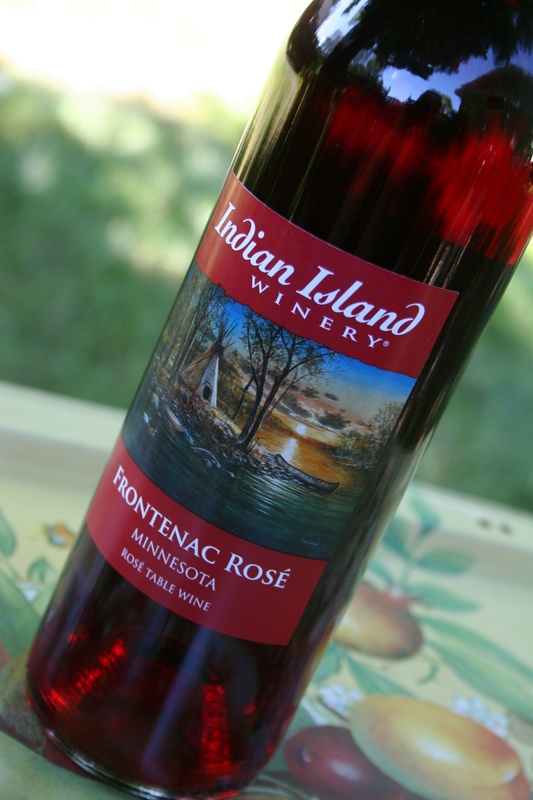 Together, after only a few years in the wine business, the Winters have accumulated a long list of awards—the most recent the coveted Minnesota Governor’s Cup (aka gold medal) in the 2011 International Cold Climate Wine Competition for their Frontenac Rosé. The Winters’ wine beat out 250 other entries to take the top honors, Ray Winter says. Winner of the 2011 Governor's Cup, Frontenac Rose. Inside the machine shed style building, which looks nothing like a storage place for farm machinery, you can (for $5 and you get to keep an Indian Island wine glass) sample four pre-selected wines and three others at the wine bar. You’ll find Maiden Blush, this year’s bestseller, and wines with names like Dreamcatcher, Prairie Wind and St. Pepin. 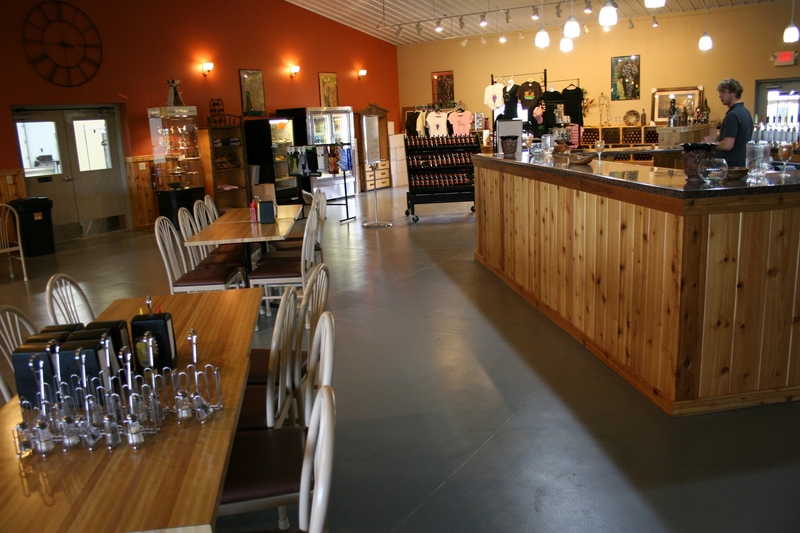 You can sample wines (17 are on the current wine-tasting list) and/or enjoy a meal inside or outside the winery. One of the many winery offerings: St. Croix, a semi-dry red table wine. 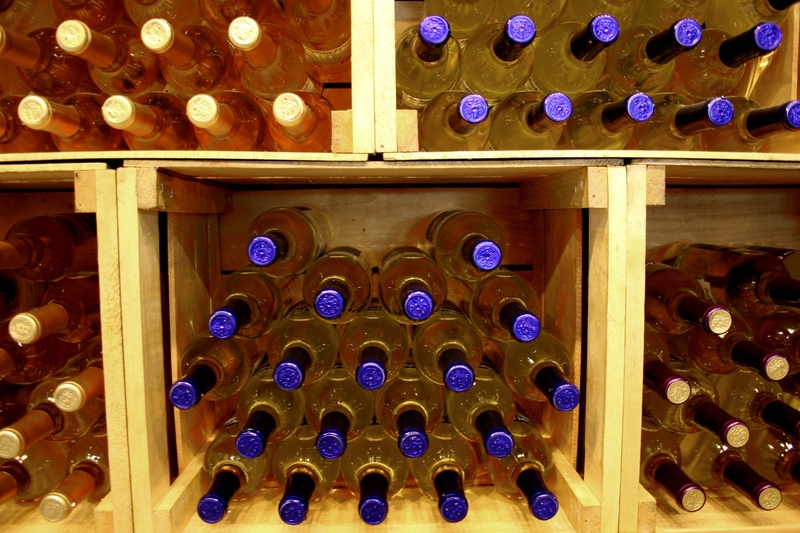 Grab a bottle of wine from the vast selection at Indian Island Winery. 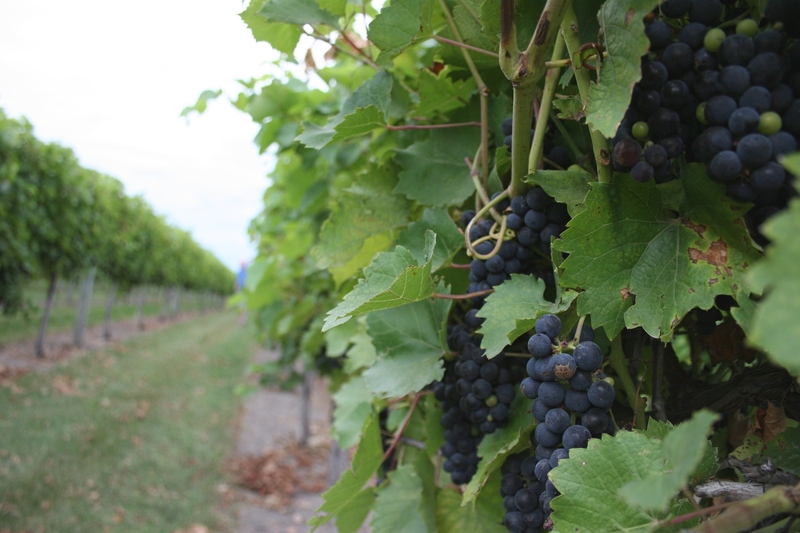 If all goes well with this year’s crop, Indian Island plans to offer wines made from only Minnesota-grown grapes. 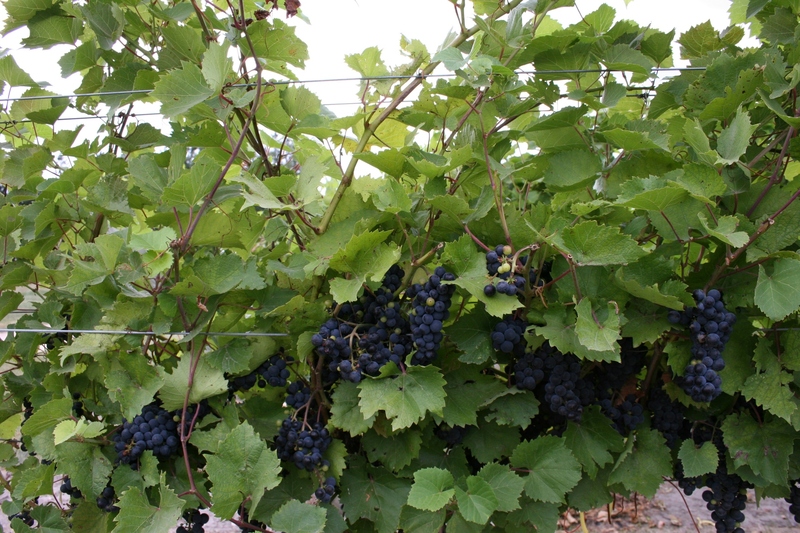 Most grapes will come from the family’s own vineyards with some also coming from local contractors. 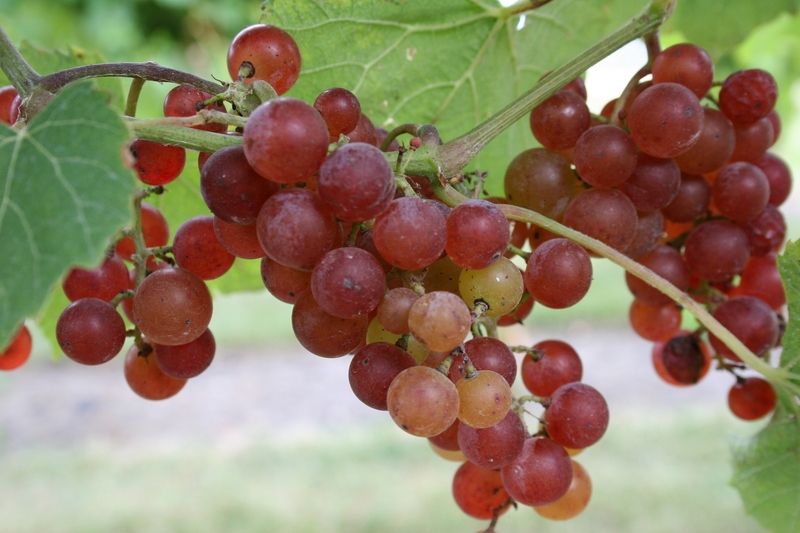 For now, Indian Island makes only grape wine. I have yet to sample any, although my husband and I picked up bottles of Maiden Blush and Frontenac Rosé. That sounds like a plan to me, to this former southern Minnesota prairie farm girl who appreciates nothing more than the sun slipping below the horizon in a serene setting like that at Indian Island Winery. I can picture myself sitting on the patio at Indian Island, sipping wine and watching the sun set. 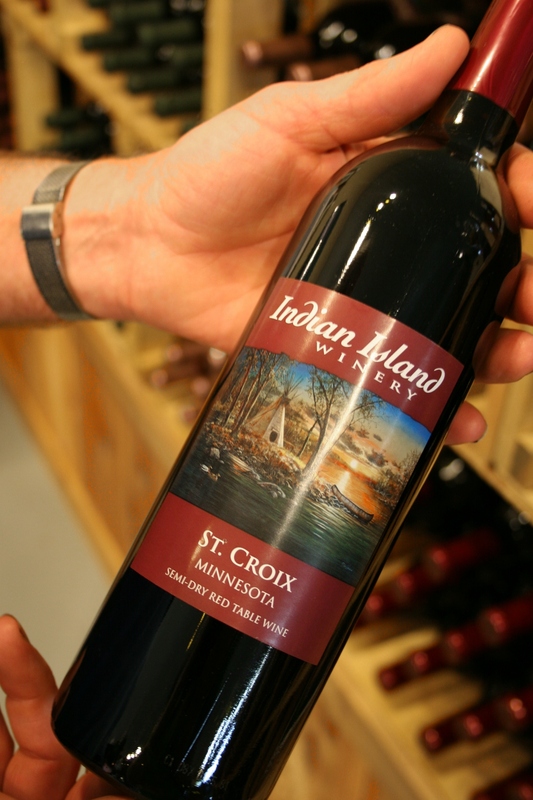 FYI: Indian Island Winery is among places featured in the “Minnesota River Sips of History” wine, beer and history trail tour. 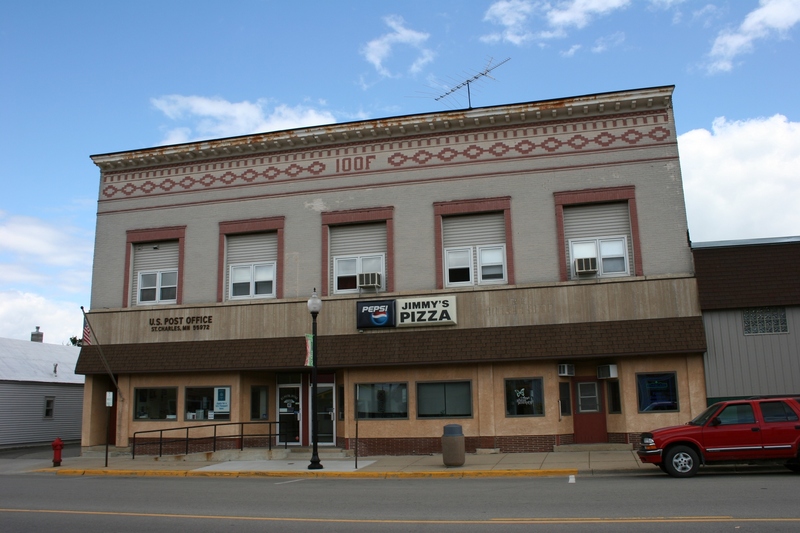 Click here for more information on this tour that will take you to places like August Schell Brewing Company in New Ulm, Fieldstone Vineyards in Redwood Falls, the historic R.D. Hubbard House in Mankato, Gilfillan Estates between Morgan and Redwood Falls, and more. The sites are hosting special events the weekend of October 21 – 23. 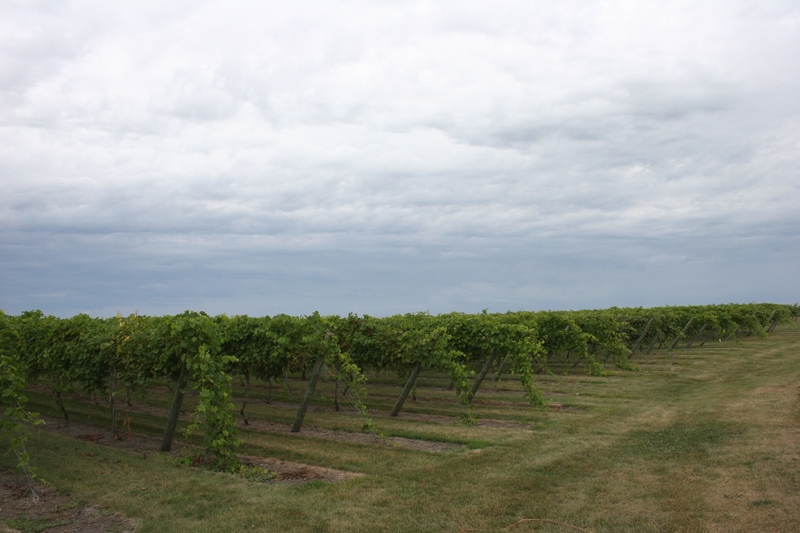 Indian Island is among about 30 wineries in Minnesota and is located southeast of Mankato. The business aims to use only Minnesota grapes, most grown on-site. FYI: Click here to learn more about artist Jim Hansel who created the signature artwork that graces Indian Island wine labels. 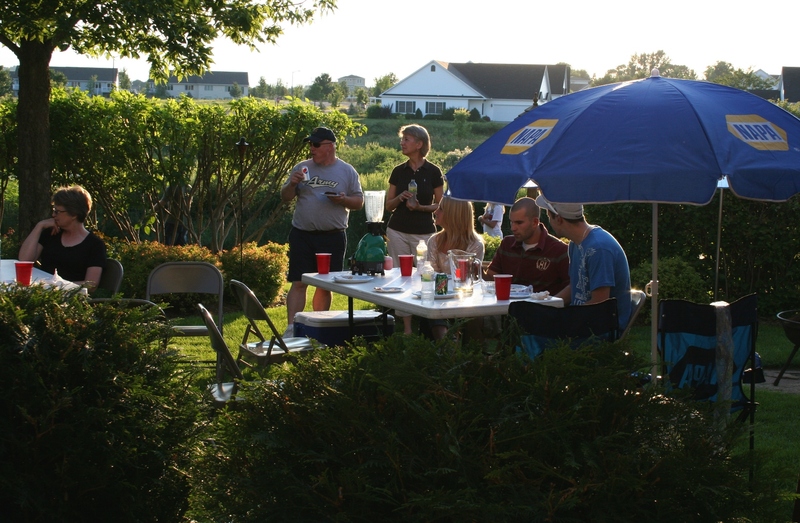 Northfield NAPA employees, spouses/significant others and guests gathered recently for a backyard pizza party that included bean bag and ladder golf competitions on a perfect summer evening. IF YOU WERE TO RATE your athletic abilities on a scale of 1 to 10, with 10 ranking as Olympic status, how would you rank yours? I don’t hesitate. Mine would fall off the scale in the minus category. I doubt I possess an athletic bone in my body. And if I do, I haven’t found, or even looked for, it. And I don’t care. I simply don’t care. Sports have never held priority in life. I don’t watch sports, care which team wins or loses, or think athletes are God’s gift to the world. Personally, my minimal sports participation typically does not involve anything intensely competitive. That is why, every January and every August, I cringe when I hear that sporting competitions are part of my husband’s company Christmas and pizza parties. I suppose you could then ask, “Why do you go to these parties, Audrey?” And I would tell you because of the superb food and the people. 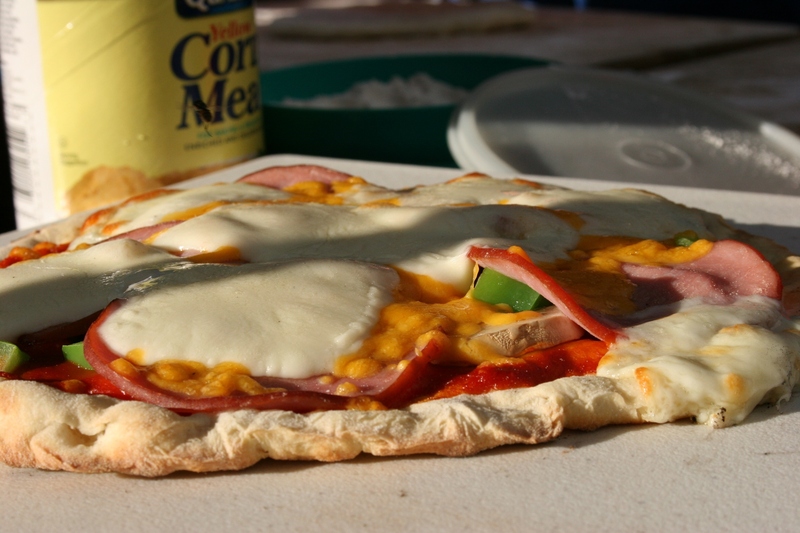 Everything is homemade, even the dough for the pizza crust. 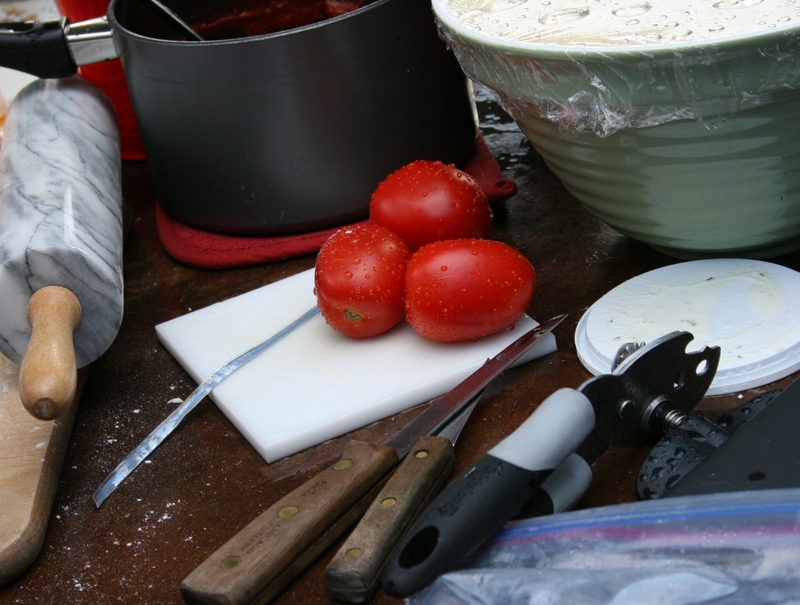 Fresh ingredients top the pizzas made by Dan, this year with two in-training assistants. 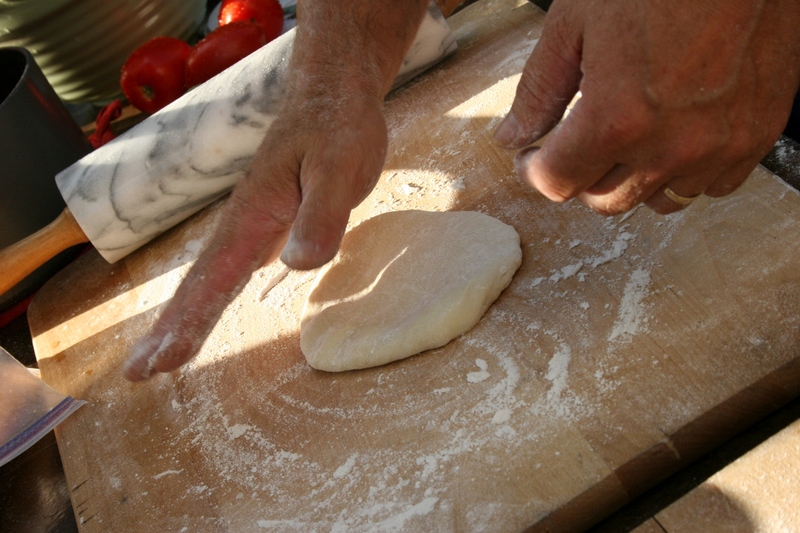 The pizzas are baked in a wood-fired outdoor oven. I would rather eat at Dan and Jan's house any day over dining at a restaurant. And I'm not saying that because Dan's the boss. He and Jan are fantastic cooks. I’ve tried, oh, yes, I’ve tried to level the playing field. “Can we please play Scrabble?” I’ve asked the husband’s boss several times. Dan just smiles and places me in a bracket along with all the other spouses/significant others and employees. I play along, putting minimal effort into whatever event because I know I’m just not good enough to win. You might say I have a loser’s attitude. About now you’re thinking, well, with an attitude like that…, and you would be right. But if you were the last kid picked for the softball team, if you were the skinny-armed girl the brawny boys chose to plow through when playing Red Rover, if you struggled with physical education classes under the duress of teachers who expected you to perform as well as the best athlete in the class, if you grew up on a farm and never had the opportunity to participate in sports, wouldn’t you possess an athletic inferiority complex, too? At the holiday party, I never know which I should wish for—to shoot pool, throw darts or play Wii bowling. All, in my unathletic hands, are potentially dangerous. Thus far I have not inflicted any injuries upon groins or eyes while lining up pool shots or throwing darts. But Wii bowling, which I have not yet attempted, makes me nervous. If anyone could manage to wipe out the boss’ big screen TV, it would be me. On a recent weekend, when we were in the boss’ backyard for the annual pizza party and I was on deck to play ladder golf with my husband as my partner, I made sure I was flinging the dual golf balls toward the public walking path and not toward the neighbor’s house windows. The spouse and I got a bye on the first ladder golf round because the other team didn’t show up. We won the second game in just two throws each. Then suddenly we were in the championship game. How did that happen? I started to get all nervous because a crowd was gathering to watch. If there’s one thing I don’t like, it’s a group watching me compete. Throws my game, like I ever had a game anyway. Neither the husband or I could throw worth a darn. But then neither could the dad half of the other team. The 12-year-old was making us all look like losers, although even I was aiming better than my spouse. Here I am, posing like one of the girls on The Price is Right. I will keep my day job as a writer and photographer. After what seemed like an interminably long time of tossing into the blinding sun and facing those pressing crowds (OK, more like a handful of people), we won. I had actually, really, truly won a competitive sporting event. And I got a prize—a humungous cooler on wheels—which would not fit into the trunk of our car but which my spouse managed to shove onto the back seat. We do not own a compact car; it is a 1995 Chrysler Concorde. For now we’ve stashed the oversized cooler in the basement and, honestly, it’s bigger than the dorm fridge we have down there for the pop and beer. You could fit a small child inside the cooler. It would make a good toy box if I had kids young enough to need a toy box. I expect we’ll lug it up the stairs next spring when our youngest graduates from high school and we need a cooler to stash beverages for the graduation party. After that…, well, I don’t know. 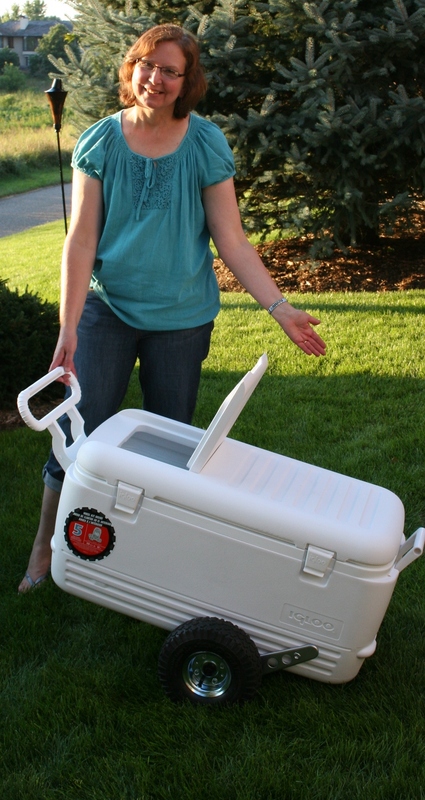 JUST IN CASE THE BOSS is reading this post, thank you for the cooler. It really is a nice prize as is the gift certificate my spouse won to an area chain restaurant. But if I were you, I wouldn’t put me in the Wii bowling competition at the holiday party. Just sayin’. 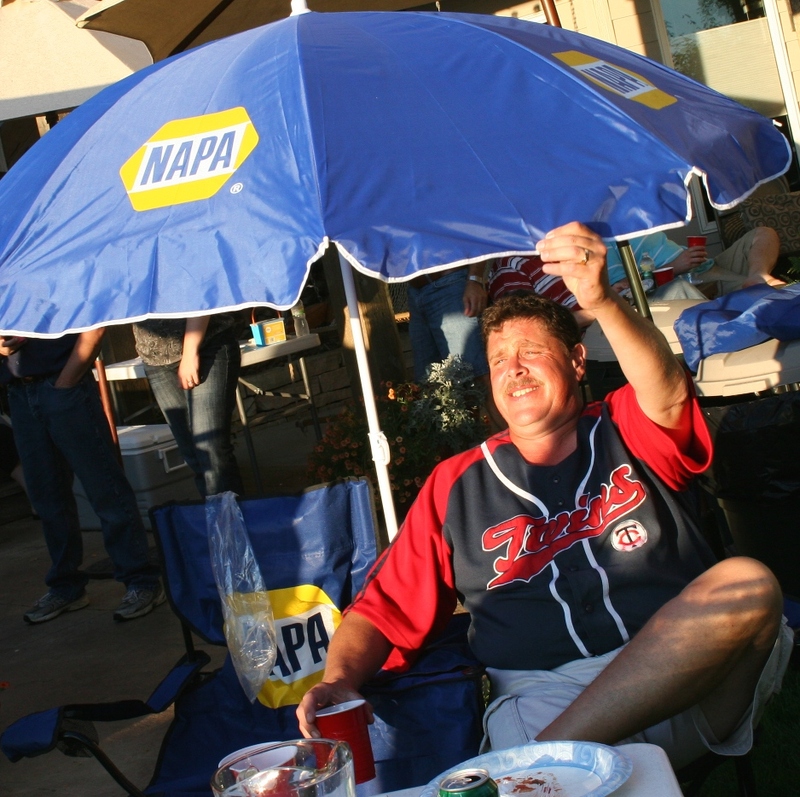 I could have won this umbrella-dual folding lawn chair set. I like my cooler just fine, thank you. 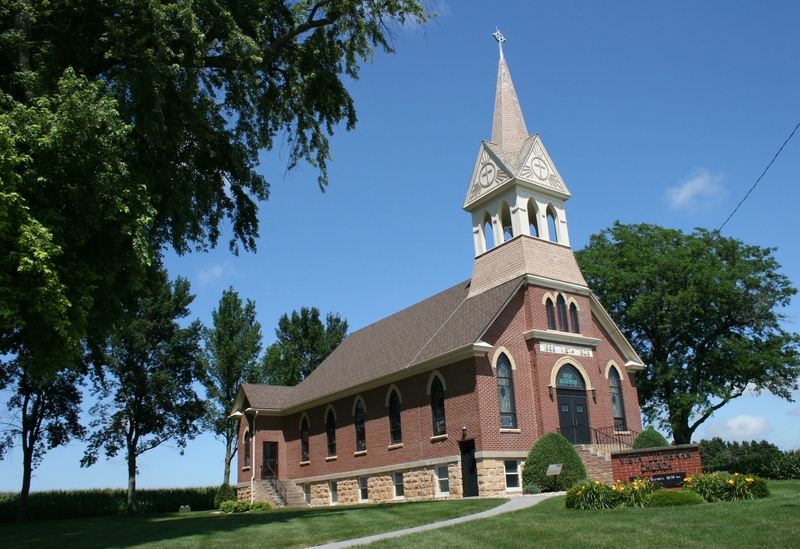 Vista Evangelical Lutheran Church, located at the intersection of Waseca County Roads 20 and 56 northeast of New Richland was built in 1908 and is on the National Register of Historic Places. DURING THE PAST FEW YEARS, whenever I spot an old country church and have the time to stop and photograph it, I do. I possess a sincere appreciation for the history, architecture, beauty and art found in these rural houses of worship. There’s also something about a church in the country that exudes a deep sense of peace not found in a church built in a town and surrounded by homes or businesses, confined by concrete or pavement. 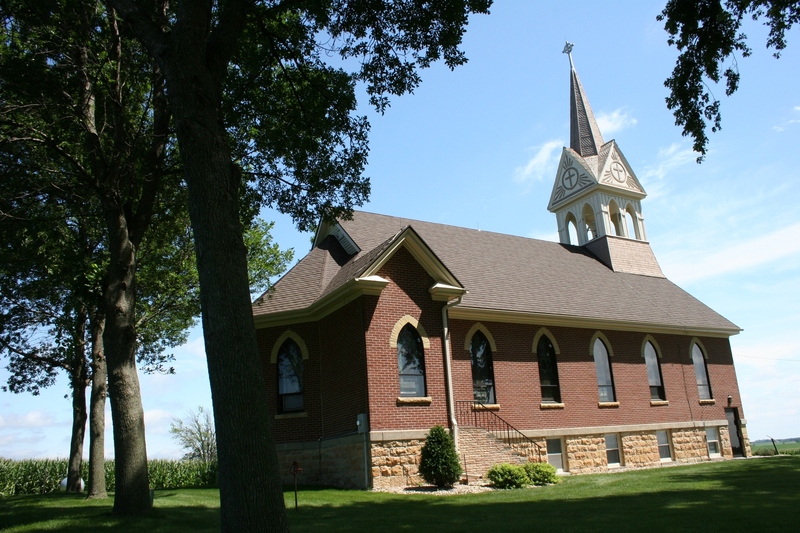 In the country, a church feels more closely connected to God by the sky, the land, the stirring of the wind through the trees, the background buzz of bugs on an end-of-summer day. Serene. Peaceful. Calm. A certain sense of comfort comes from walking through a country churchyard, through the adjoining cemetery that links to farm fields where congregational forefathers worked the land and, on Sunday mornings, paused to thank God for the blessings bestowed upon them. 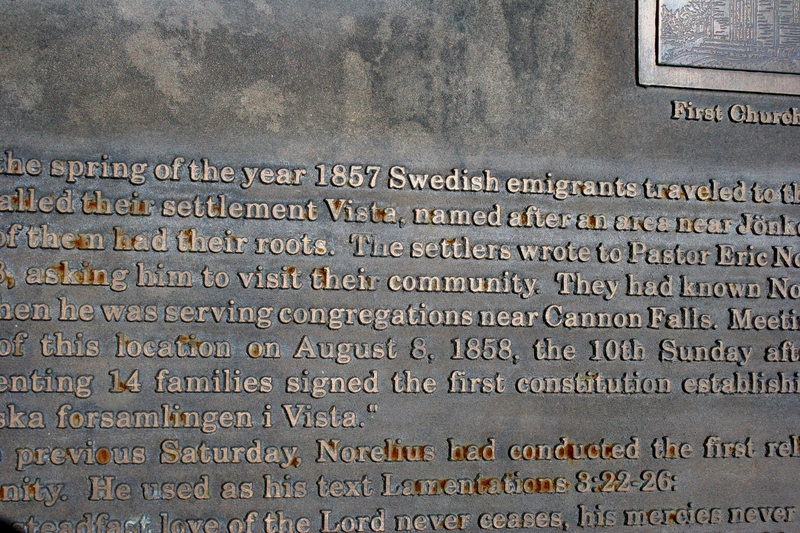 A plaque at Vista details the congregation's Swedish roots and history. Early settlers met on a hill north of the current church on August 8, 1858, and signed a constitution. Most times on these brief visits to country churches, I find the doors locked. It wasn’t always this way. Perhaps even a decade ago, I could have walked inside. But times are different. Worry about theft requires locked doors. So I can only imagine the sun streaming through stained glass windows, the worn pews, the ornate altar, the frayed rope of the bell pull. Nearly every old country church features irreplaceable stained glass windows. As I circle the church exterior, I consider the families that have come together here to celebrate baptisms and marriages and to mourn the loss of loved ones. Ashes to ashes, dust to dust. 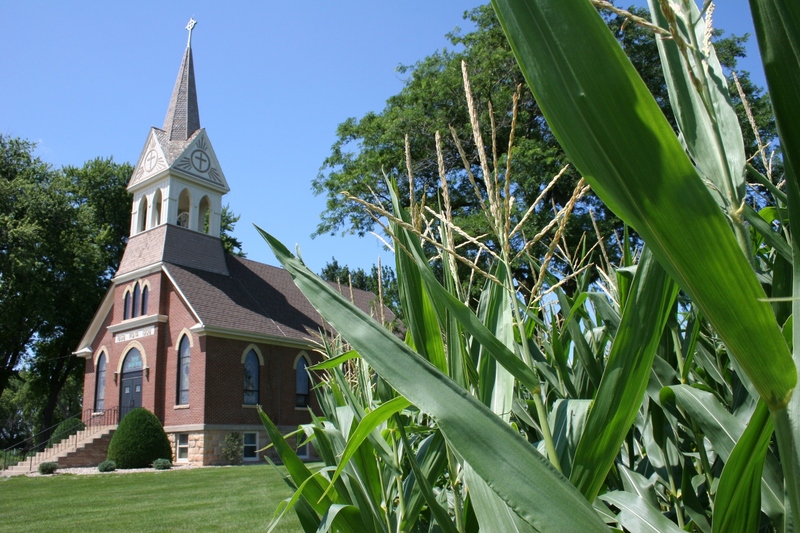 Cornfields snuggle up to Vista's church yard. It's the most beautiful of settings. 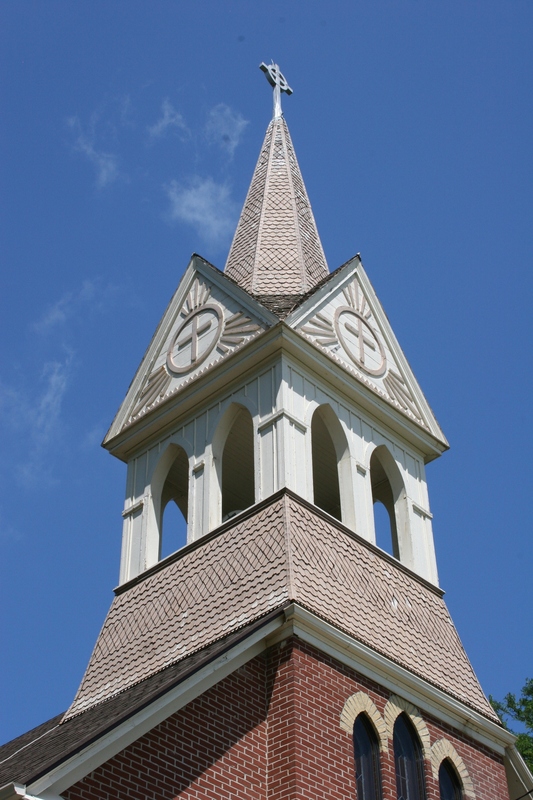 Vista's steeple rises above the countryside as a local landmark. A lovely grassy area of shade trees lies to the north and west of the Vista church. Verses one and two of “Beautiful Savior” are from The Lutheran Worship hymnal. TYPICALLY MY POSTS focus on a single subject. But not today. I’m serving hotdish. And since the Minnesota State Fair opened Thursday, pretend it’s hotdish on a stick, which actually can be purchased, with cream of mushroom dipping sauce, from vendors Ole and Lena’s. Ja, sure, ya betcha. This year you’ll also find, for the first time at the Great Minnesota Get Together, chocolate covered jalapeno peppers. Now, you might think Minnesotans would hesitate to try jalapeno anything given our primarily Scandinavian and German taste buds. But I can tell you that two summers ago I found Dennis Gare pushing chocolate covered jalapenos at the Faribault Farmers’ Market and they were selling like lefse at a Norwegian dinner. 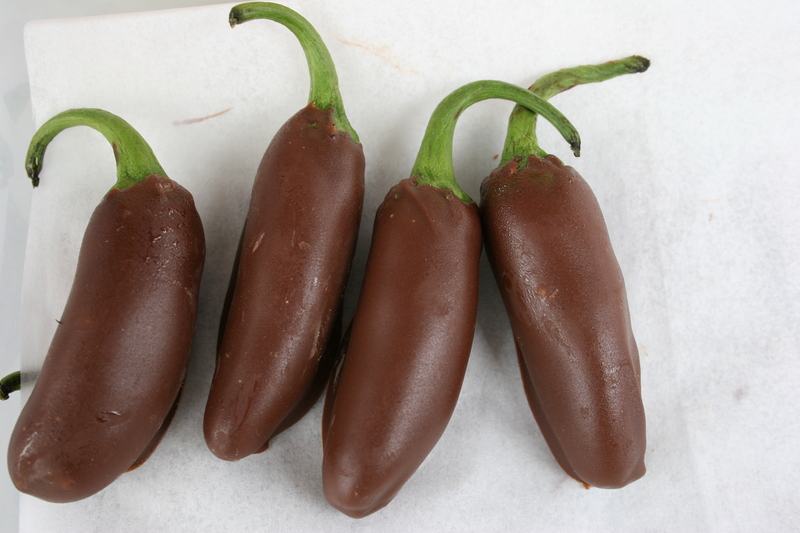 Dennis Gare's chocolate covered jalapenos, which I photographed two years ago. At the time, Dennis told me the jalapenos were creating quite a buzz among customers and vendors. He’s one of those savvy marketing types who create atypical foods—like pickled eggs and horseradish—that will attract customers and increase sales. I checked in with Dennis last Saturday and jokingly asked if he was the vendor peddling the chocolate covered jalapeno peppers at the State Fair. Nope. That would be Andre’s Watermelon. But he was a little worried about the fieriness of the over-sized jalapenos on a stick. If you attend the State Fair and try a chocolate covered jalapeno pepper, submit a comment. I’d like to report back to Dennis down at the Faribault Farmers’ Market. Click here to read my July 20, 2009, post about Dennis’ jalapenos. SINCE I’M ON THE SUBJECT of the State Fair, I need to give a shout-out to the new Princess Kay of the Milky Way, 18-year-old Mary Zahurones from Pierz, a community of about 1,300 north of St. Cloud in Morrison County and along Minnesota Highway 25, a main route to the Brainerd Lakes area. The new princess had her head carved in a 90-pound block of butter at the fair yesterday. Anyway, I know a little about the princess’ hometown of Pierz. My husband graduated from Pierz Healy High School in, well, let’s just say a long, long, long time ago. The new princess graduated from my spouse’s alma mater several months ago, and you’ll find her princess photo proudly showcased on the District 484 website home page. 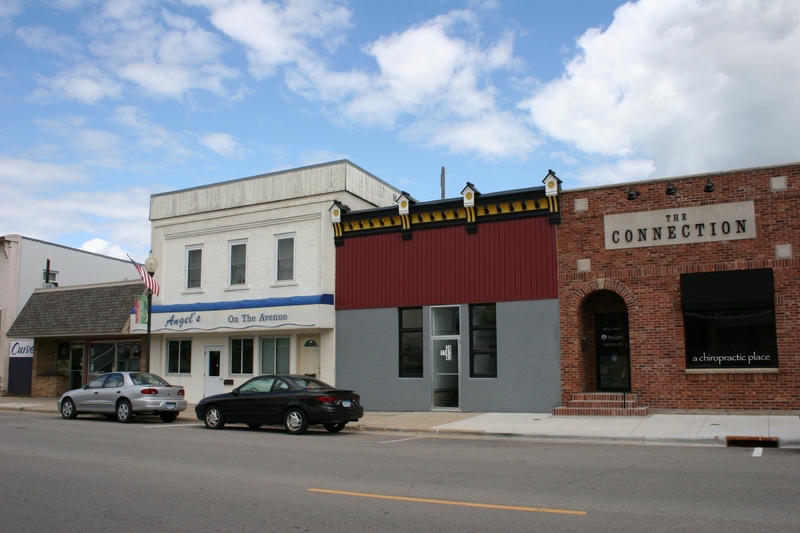 Two other interesting tidbits about Pierz: The town was originally called Rich Prairie, but was renamed after a Catholic priest, Father Francis Xavier Pierz. 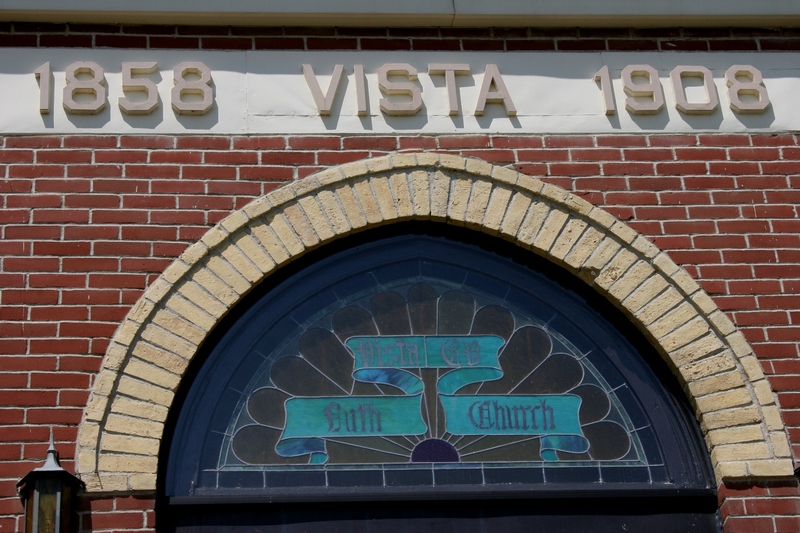 He is recognized as “The Father of the Roman Catholic Diocese of Saint Cloud,” having settled in central Minnesota in 1852 as a missionary to Native Americans and having attracted many German Catholic immigrants to the area. You’ll find a statue of the good Father in a Pierz park, moved there last year from the St. Cloud Hospital. Secondly, if you like bologna, and I don’t, but apparently central Minnesotans do, you can check out Bologna Days every Wednesday at the Red Rooster Bar & Grill in Genola (just south of Pierz) or every Thursday at Patrick’s Bar & Grill in Pierz. Really. This information is listed in the F.A.Q.’s section of the city website and, no bologna, I have seen a Bologna Days sign with my very own eyes. AS LONG AS WE’RE TALKING Catholic here, even though I’m Lutheran, I simply must point you to the “Magnetic Catholic” paper (well, not really paper) dolls which I first learned about from a Michigan writer on her blog, House Unseen. Click here to read that post and then click here to see the Magnetic Catholic Etsy shop. 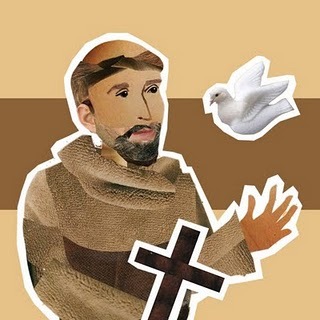 I swear—oops, probably shouldn’t be swearing—you’ll have your socks charmed right off you by the likes of the Blessed Mother Teresa of Calcutta, St. Francis of Assisi and the Blessed Pope John Paul II. ONE MORE THING, totally unrelated to Catholics, dairy princesses, or anything on a stick. 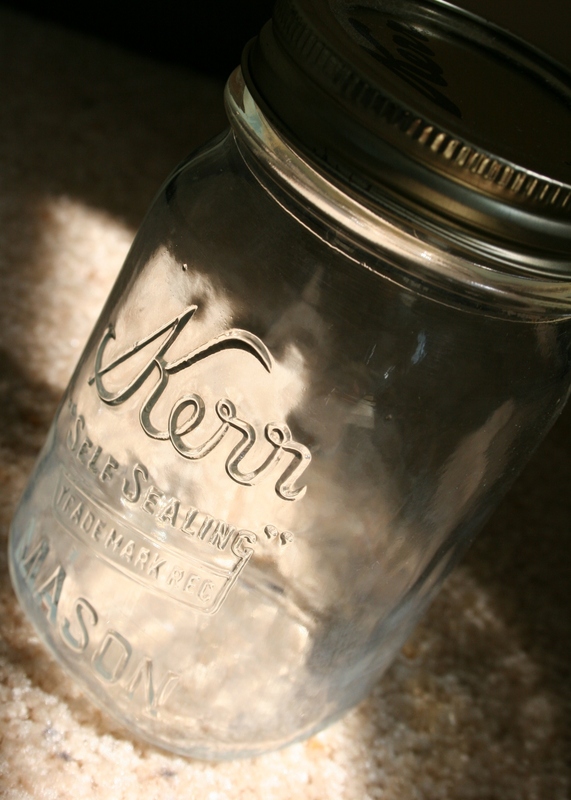 But, apparently the latest trend among hip, young Minneapolitans is to carry iced coffee or similar drinks around in a (Mason/Ball/Kerr) pint canning jar. I learned this from my eldest, who drove down to Faribault Thursday evening so her personal mechanic/Dad could check her car. After we gathered home-grown tomatoes, flowers and a few other niceties for her to take back home to south Minneapolis, she asked if I had any canning jars. I know my daughter well enough to realize she didn’t need them for canning. Heck, I don’t even can. So we traipsed down to the basement and poked around until we found two pint jars, rings and lids. She was one happy Uptowner. SO THERE, I HOPE YOU enjoyed your serving of hotdish. Mighty tasty, huh? 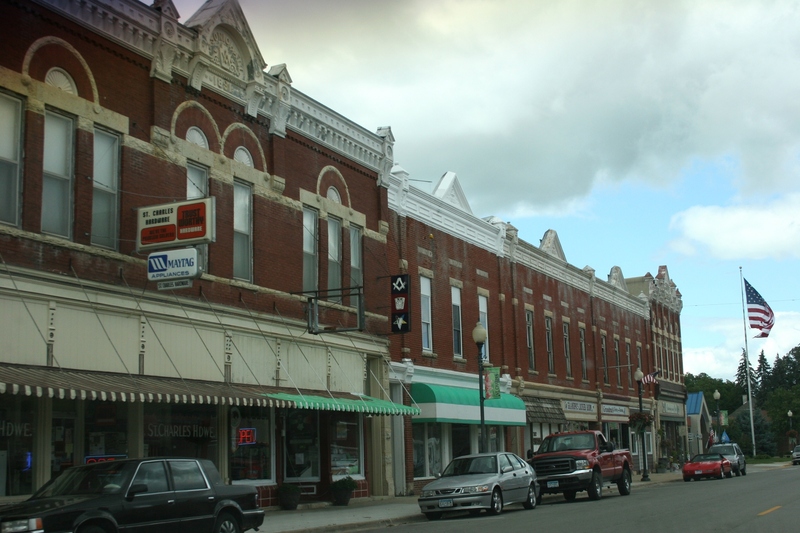 A section of downtown St. Charles, Minnesota, on a recent summer afternoon. 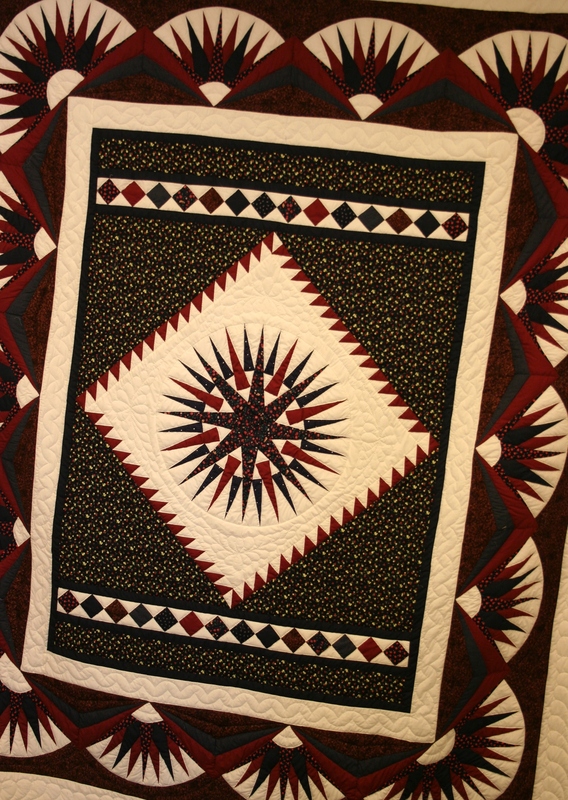 A quilt made by local southeastern Minnesota Amish and sold at the Amish Market Square. MID-AFTERNOON ON A TUESDAY and we are dining at the Whitewater Café in downtown St. Charles. We’ve driven to this southeastern Minnesota community of 3,300, sandwiched between Interstate 90 and U.S. Highway 14, because we’re meandering home from a family vacation to Wisconsin. I’ve specifically placed St. Charles on our route back to Faribault for two reasons: the Amish and the gladiolus. 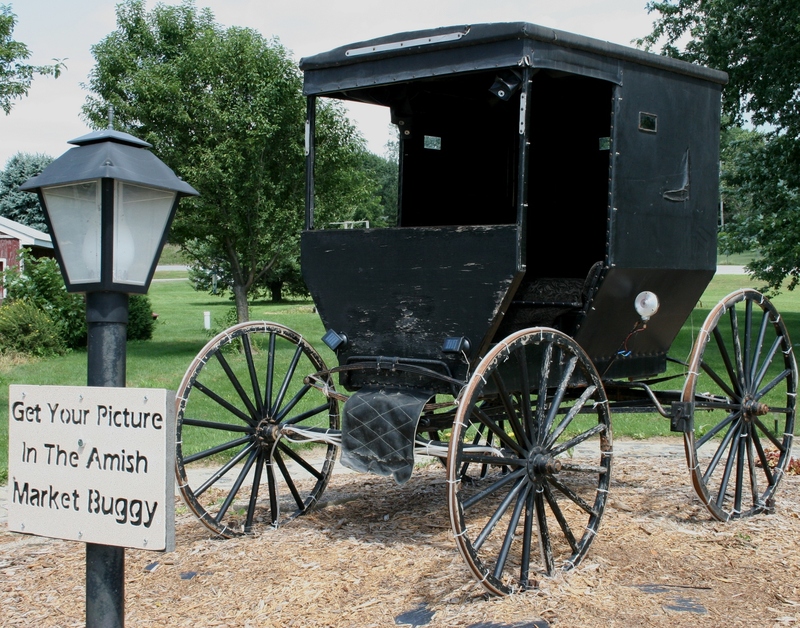 Before dining at the fishing-themed Whitewater Café in downtown, we stopped at Amish Market Square just off I-90 where you can gas up, eat, buy products handmade by the Amish and pose for a photo in an Amish buggy. While I admired the stunning hand-stitched quilts—priced around $1,500—and the wood cutting boards and more, I didn’t climb into that buggy for a photo. I wanted authentic Amish, not tourist Amish. 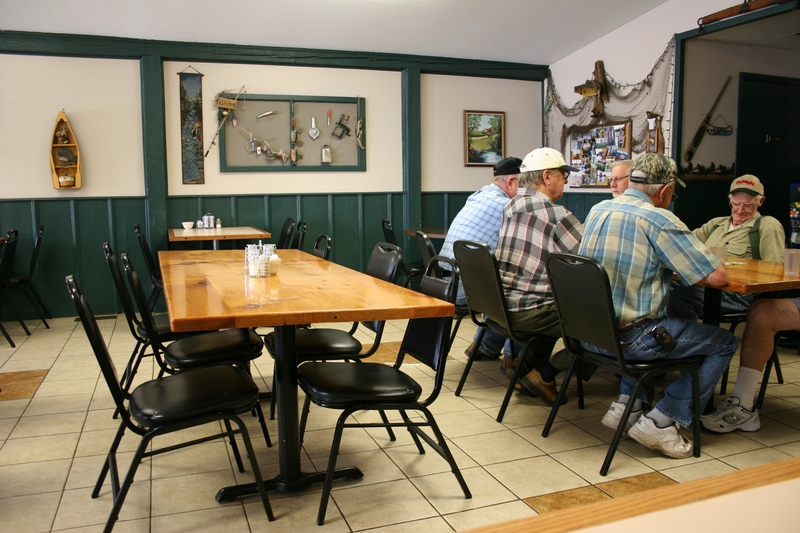 That would come later, after lunch downtown, next to “The Table of Knowledge,” aka a group of local guys who gather each morning and afternoon to shoot the breeze, drink coffee and, when asked, give directions to the gladiolus fields and Amish farms. I didn’t get any of their names, but one of those friendly club members—and I use that term loosely here—found a Winona County map in the restaurant and highlighted a route that would take us southeast of St. Charles past Amish farms and then back north to the glad field just south of Utica. He praised the hardworking Amish, two of whom were working on a fence on his farm at that very moment. He picks them up in the morning, then drives them home at the end of the work day. These friendly locals at the Whitewater Cafe gave us directions to the glad field and Amish farms. 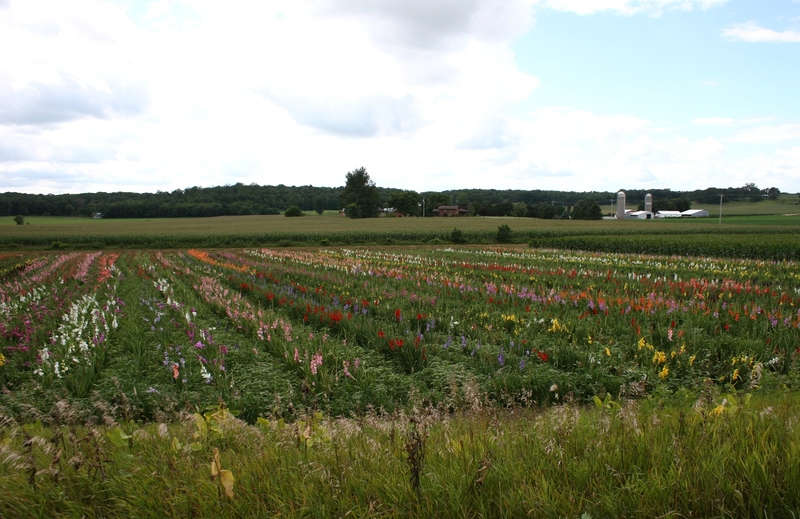 We left the restaurant, opting to view the flower field first by following Highway 14 east of St. Charles, turning south onto Winona County Road 33 into Utica until we found the rows of gladiolus just outside of town. It should be noted that the flower-growing location changes annually to keep the plants disease-free. Last year the glads were grown next to St. Charles, so the knowledgeable locals told us. Up until that moment, I’d thought mostly of gladiolus as “funeral flowers,” a moniker that has stuck for decades based on my memories of glads at every funeral I ever attended as a child. Interesting how you associate something with an impressionable event, isn’t it? As we slowed the car to get an overview of the gladiolus in the field below, I felt as if I was viewing a painting by Claude Monet. Soft pinks and purples and blues—punctuated by splashes of brilliant red, and broken by lines of green, tight-clasped buds and foliage—created a surreal scene against the backdrop of corn, farm places, sky and a distant tree line. 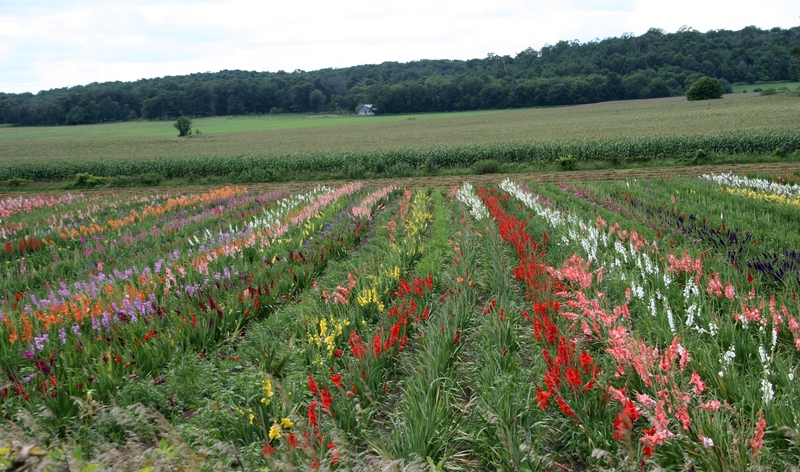 A view of the gladiolus field just south of Utica along Winona County Road 33. This is as close as I got to the glads, standing along the shoulder of the road photographing them. I hoped for a close-up look, but found no signage indicating we could stop at a next-door building site to view or purchase flowers. And so we drove on, further south and then west past several Amish farms—past the horses and wagons, the laundry on clotheslines, the shocks in fields and the Amish men throwing bundles high atop a wagon, their arm muscles bulging from seasons of labor. An Amish farm site southeast of St. Charles. We came upon this pastoral scene south of St. Charles, where the Amish were pitching bundles onto wagons. Heading back into St. Charles, I wished I could spend more time here, in this town promoted on its website as “The Gateway to the Whitewater Valley,” and made world-famous by Carl Fischer, now deceased. 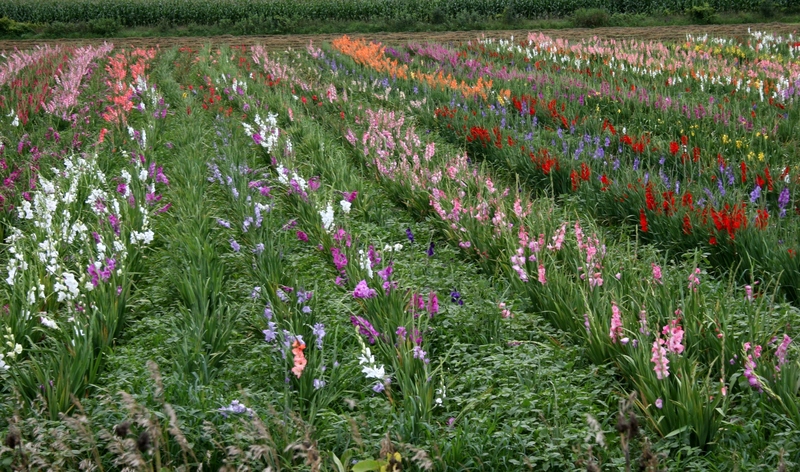 He was the world’s leading hybridizer of new and distinctive gladiolus and established Noweta Gardens in 1945. Each August this Minnesota town celebrates Gladiolus Days, which is happening right now and continues through Sunday, August 28. For a schedule of events, click here. I fully intend to return some day to experience this festival, to this place where, if you look, you will see southeastern Minnesota’s version of a Monet painting. The gladiolus field before me could have been a Claude Monet painting. 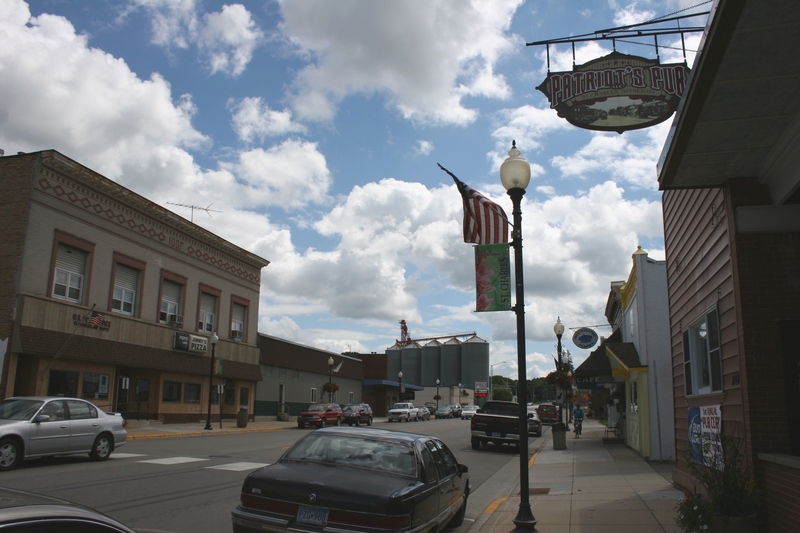 The main road through downtown St. Charles, the "Gateway to the Whitewater Valley." 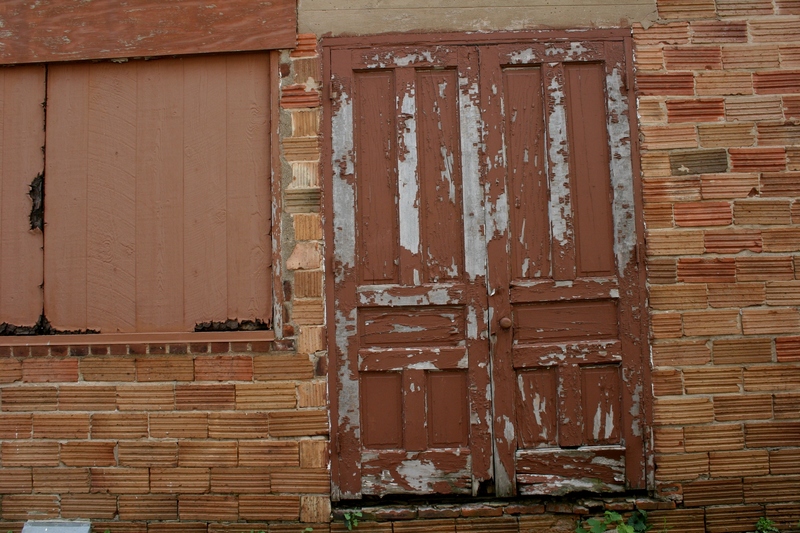 I discovered these weathered doors, found them charming, so photographed them in downtown St. Charles. More downtown St. Charles businesses. The post office and a pizza place along St. Charles' main drag. I refused my husband's offer to photograph me in this Amish buggy at the Amish Market Square just off I-90.